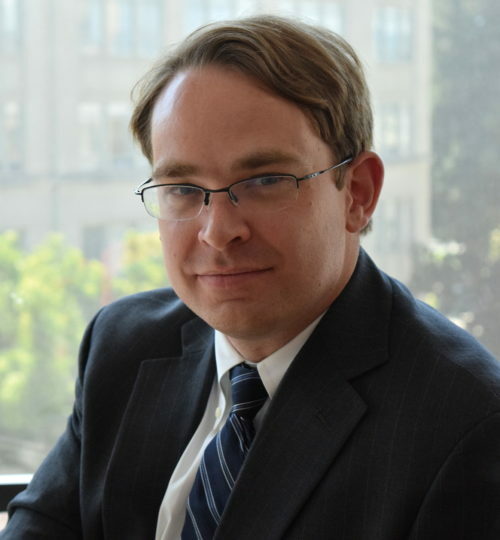 Paul Leahy joined Disability Rights Advocates in 2017 as a DRA Fellowship Attorney. Mr. Leahy received his J.D. from Georgetown University Law Center in 2017 and his B.A. with distinction in History from the University of Michigan in 2009. Mr. Leahy served as an associate with the Michigan practice of a national public affairs firm headquartered in Boston where he had several disability and healthcare-related projects. Mr. Leahy helped elect attorney Richard Bernstein as the first blind Supreme Court Justice in Michigan history. During law school, he served as a law clerk on the Senate Judiciary Committee and in the Executive Office of the Environment and Natural Resources Division of the United States Department of Justice. Mr. Leahy also worked as a student advocate in Georgetown Law’s Federal Legislation and Administrative Clinic.